Looking for corporate event hire in Ibiza? Our boat charters can be tailored to suit even the most specific requirements while continuing to inject excitement that is guaranteed to impress even the most jaded executive. Reward your finest employees with the ultimate incentive, treat your clients to the time of their lives or join with your friends and family under the clear blue skies... Let us help you motivate, entertain or innovate with a perfect event in Ibiza. Swimming, snorkeling and relaxing in luxury on your own boat is the perfect way to top up those tans. Maybe your favorite chilled drinks and some silly party games thrown in for good measure sounds like your thing? Just let us know what you'd like to include and we'll arrange it for you to guarantee a very special corp event in Ibiza... Memories are made of this! Are you celebrating something super special and can’t find the venue you’re looking for? With our experience and knowledge of organising events on Ibiza, our well-practised team will be able to help. Charter a boat for your delegates and guests, providing them with a unique and unforgettable experience. 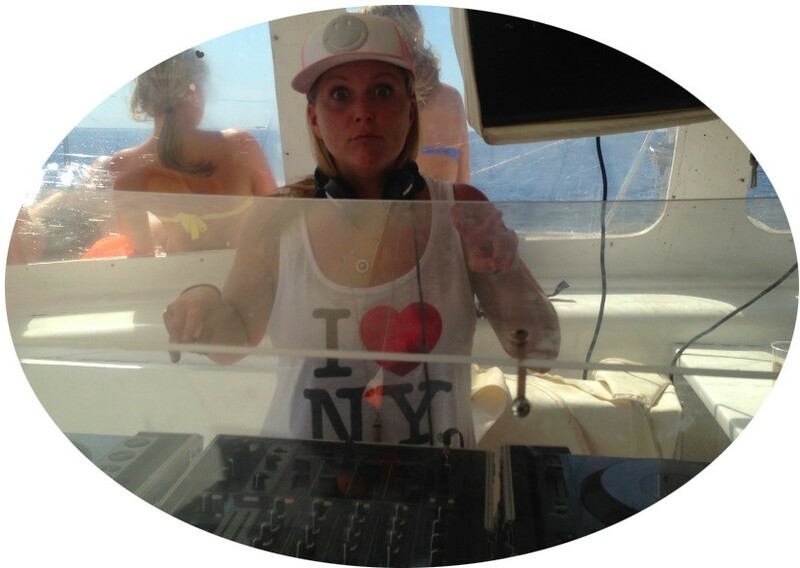 We organise corporate boat parties for all occasions and can inspire you with some great themes. We have entertainment on board, DJ, Snorkeling, Watersports amongst many others. Do you already have a theme in mind? We can normally accommodate any request, however weird and wonderful it might be. 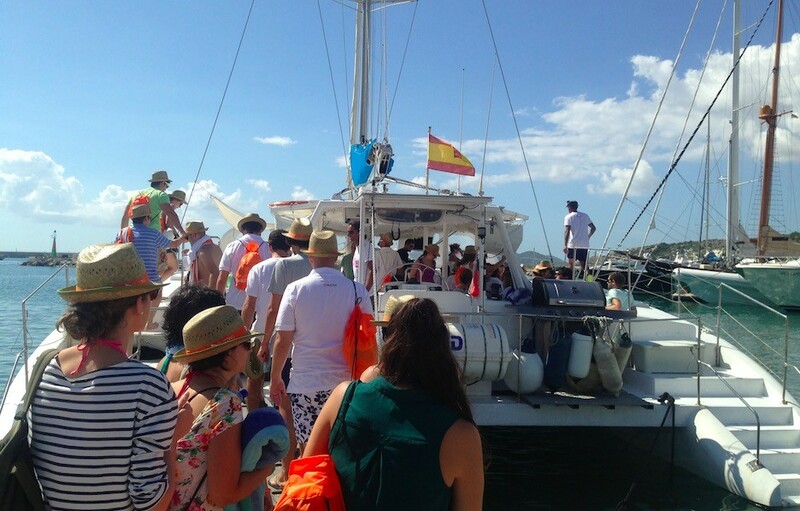 Charter one of our catamarans up to 80 pax and work with us to create the perfect event. If you would like to cater for your guests we have number of menus on offer including canapés, bowl food, seated dinners and alfresco BBQs. include fuel, complimentary drinks/full bars and a choice of on-board menu so you can relax and enjoy your day without worrying about any additional boat hire or food costs. 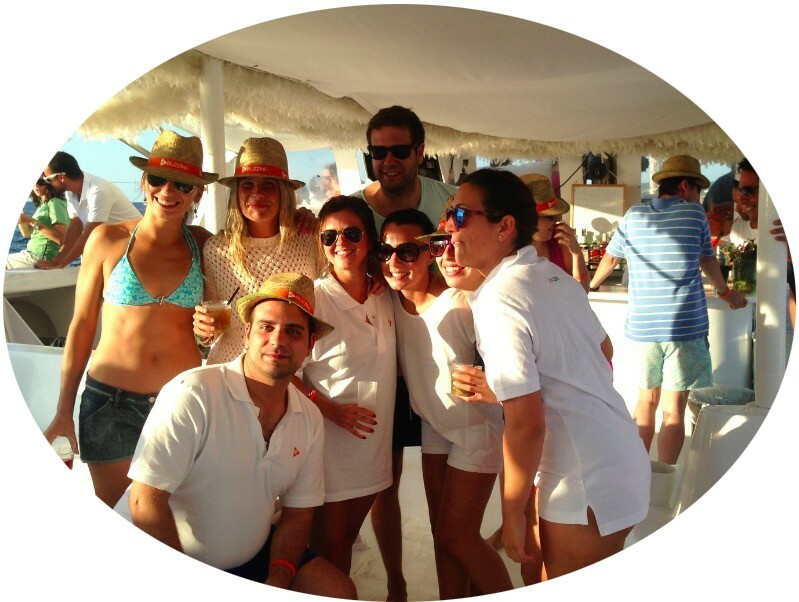 Don’t forget we can also tailor-make your perfect Ibiza boat hire experience. No matter where you want to go and how many are in your group, we can help you plan the perfect trip.